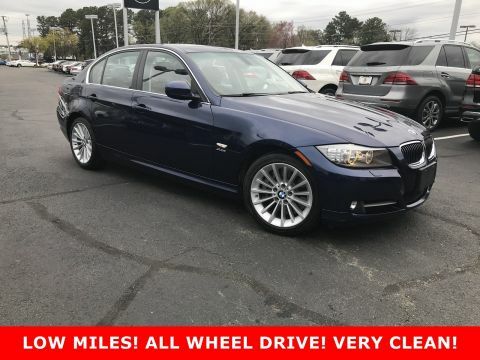 *** VERY CLEAN LOW MILEAGE 335XI *** TWIN TURBO 300HP ALL WHEEL DRIVE *** Deep Sea Blue Metallic with Saddle Dakota Leather, Premium Package, Cold Weather Package, Automatic Transmission! Clean Carfax No Accidents! Call today as this BMW will not last long! *** VERY CLEAN LOW MILEAGE 335XI *** TWIN TURBO 300HP ALL WHEEL DRIVE *** Deep Sea Blue Metallic with Saddle Dakota Leather, Premium Package, Cold Weather Package, Automatic Transmission! Clean Carfax No Accidents! Call today as this BMW will not last long! Fantastic Example of an F430 Berlinetta in Nuovo Nero Daytona Exterior with Cuoio Naturale Interior, Nero Black Carpet w/ Custom Floor Mats, Carbon Fiber Paddle Shifters, Carbon Fiber Trim, Yellow Brake Calipers and more! Clean Carfax No Accidents! Only 18k original miles! Clear Bra over the front bumper and hood. Car looks great inside and out! 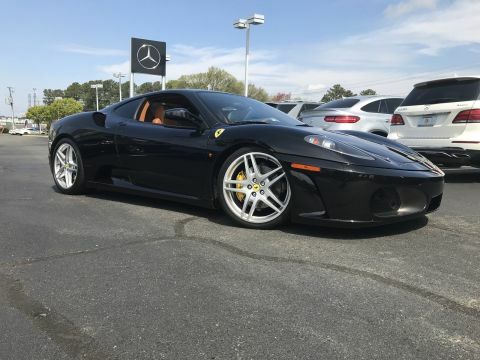 Call today to inquire for further details.Fantastic Example of an F430 Berlinetta in Nuovo Nero Daytona Exterior with Cuoio Naturale Interior, Nero Black Carpet w/ Custom Floor Mats, Carbon Fiber Paddle Shifters, Carbon Fiber Trim, Yellow Brake Calipers and more! Clean Carfax No Accidents! Only 18k original miles! Clear Bra over the front bumper and hood. Car looks great inside and out! Call today to inquire for further details. *** JUST ARRIVED *** PRESTIGE PACKAGE QUATTRO ALL WHEEL DRIVE A7 *** Mythos Black Metallic Exterior with Nougat Brown Leather Interior, Prestige Package, Heads-Up Display, Blind Spot Assist, Heated and Ventilated Seats, BOSE Surround Sound, LED Headlights and Taillights, and more! Clean Carfax No Accidents! Call today to schedule a test drive! 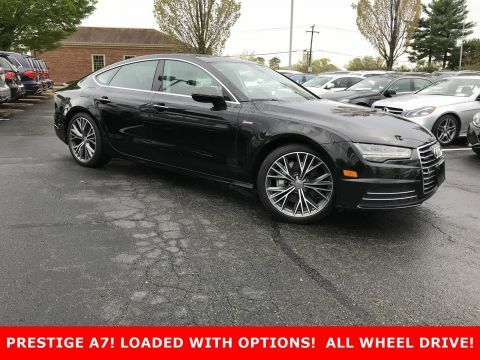 *** JUST ARRIVED *** PRESTIGE PACKAGE QUATTRO ALL WHEEL DRIVE A7 *** Mythos Black Metallic Exterior with Nougat Brown Leather Interior, Prestige Package, Heads-Up Display, Blind Spot Assist, Heated and Ventilated Seats, BOSE Surround Sound, LED Headlights and Taillights, and more! Clean Carfax No Accidents! Call today to schedule a test drive! 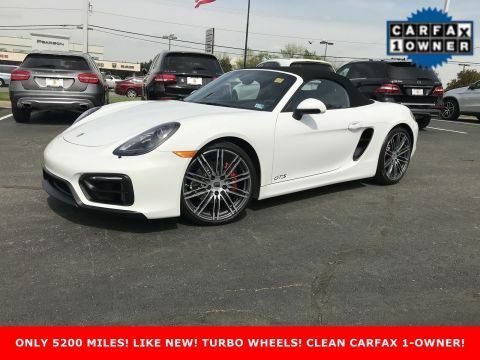 *** ULTRA LOW MILEAGE ONLY 5200 *** LIKE NEW BOXSTER GTS *** White with Black Leather Interior with Alcantara, Convenience Package, Infotainment Package with Bose Surround Sound System, Navigation, Heated and Ventilated Seats, 20-inch 911 Turbo Design Wheels, Painted Rollbar in Exterior Color, PDK Transmission, and more! Original MSRP over $86k! Clean Carfax 1-Owner No Accidents or Paintwork! Call today to schedule a test drive! *** ULTRA LOW MILEAGE ONLY 5200 *** LIKE NEW BOXSTER GTS *** White with Black Leather Interior with Alcantara, Convenience Package, Infotainment Package with Bose Surround Sound System, Navigation, Heated and Ventilated Seats, 20-inch 911 Turbo Design Wheels, Painted Rollbar in Exterior Color, PDK Transmission, and more! Original MSRP over $86k! Clean Carfax 1-Owner No Accidents or Paintwork! Call today to schedule a test drive! 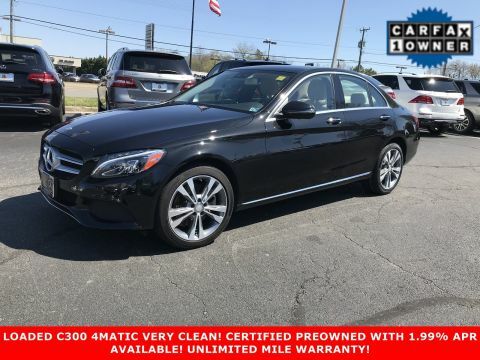 *** WELL MAINTAINED C 300 *** 4MATIC® *** FRESH SERVICE *** UNLIMITED MILEAGE WARRANTY *** Iridium Silver Metallic with Black MB-Tex, Linden Wood Trim, Panorama Sunroof, Heated Front Seats, Rearview Camera, Rear Decklid Spoiler, and more! Clean Carfax No Accidents! Call today to schedule a test drive today! 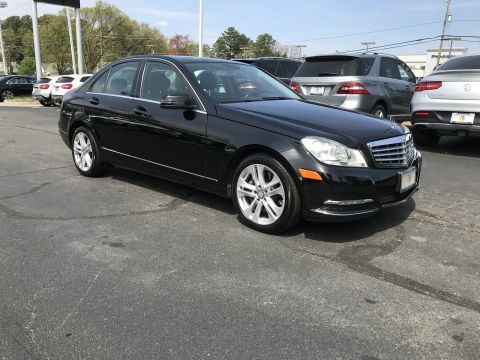 *** WELL MAINTAINED C 300 *** 4MATIC® *** FRESH SERVICE *** UNLIMITED MILEAGE WARRANTY *** Iridium Silver Metallic with Black MB-Tex, Linden Wood Trim, Panorama Sunroof, Heated Front Seats, Rearview Camera, Rear Decklid Spoiler, and more! Clean Carfax No Accidents! Call today to schedule a test drive today! 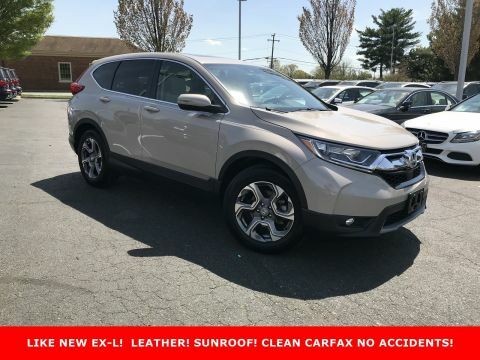 *** RECENT OFF LEASE VEHICLE *** WELL MAINTAINED NEW TIRES AND NEW BRAKES *** Steel Gray Metallic with Crystal Grey MB-Tex, Premium 1 Package, Rearview Camera, Blind Spot Assist, Panorama Sunroof, Heated Front Seats, Rear Spoiler and more! CLEAN CARFAX 1-OWNER NO ACCIDENTS! Call today to schedule a test drive today! 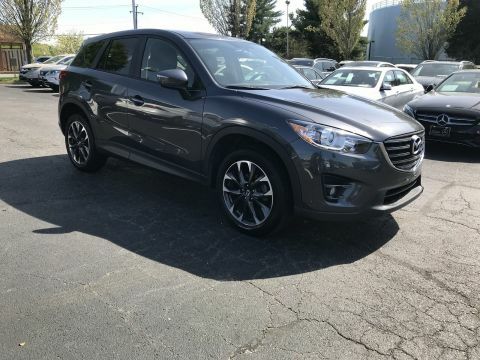 *** RECENT OFF LEASE VEHICLE *** WELL MAINTAINED NEW TIRES AND NEW BRAKES *** Steel Gray Metallic with Crystal Grey MB-Tex, Premium 1 Package, Rearview Camera, Blind Spot Assist, Panorama Sunroof, Heated Front Seats, Rear Spoiler and more! CLEAN CARFAX 1-OWNER NO ACCIDENTS! Call today to schedule a test drive today! 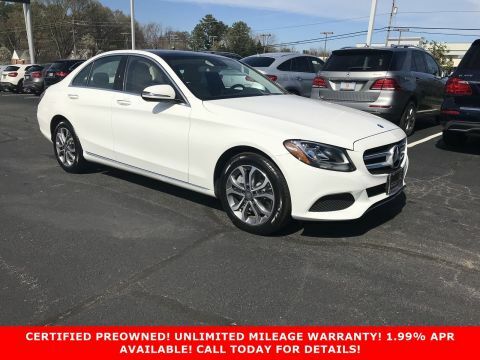 *** NICE WHITE WITH TAN C 300 4MATIC® CERTIFIED *** WELL MAINTAINED *** Polar White with Silk Beige MB-Tex, Premium 1 Package, Rear Spoiler, Blind Spot Assist, Panorama Sunroof, Rearview Camera, Burl Walnut Wood Trim, Heated Front Seats, and more! CLEAN CARFAX 1-OWNER NO ACCIDENTS! Call today to schedule a test drive! 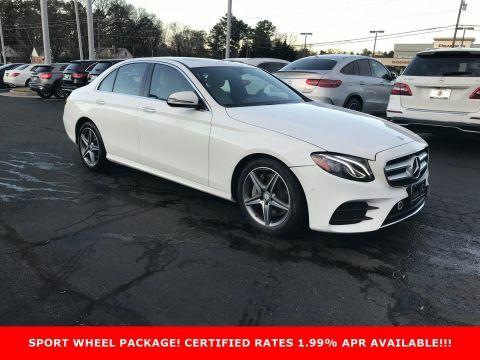 *** NICE WHITE WITH TAN C 300 4MATIC® CERTIFIED *** WELL MAINTAINED *** Polar White with Silk Beige MB-Tex, Premium 1 Package, Rear Spoiler, Blind Spot Assist, Panorama Sunroof, Rearview Camera, Burl Walnut Wood Trim, Heated Front Seats, and more! CLEAN CARFAX 1-OWNER NO ACCIDENTS! Call today to schedule a test drive! *** VERY CLEAN AND WELL APPOINTED C 300 4MATIC® *** Obsidian Black Metallic with Silk Beige MB-Tex, Premium 2 Package, Blind Spot Assist, Multimedia Package, Parking Assist Package, Hands-Free Package, Illuminated Star, 18-Inch 5-Spoke Wheels, Burmester Sound, Panorama Roof, Heated Seats, LED Headlamps and more! Clean Carfax 1-Owner No Accidents! Call today to schedule a test drive today! 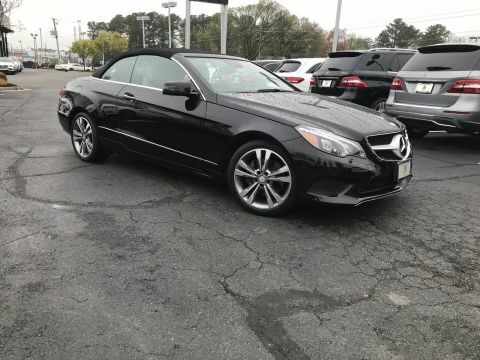 *** VERY CLEAN AND WELL APPOINTED C 300 4MATIC® *** Obsidian Black Metallic with Silk Beige MB-Tex, Premium 2 Package, Blind Spot Assist, Multimedia Package, Parking Assist Package, Hands-Free Package, Illuminated Star, 18-Inch 5-Spoke Wheels, Burmester Sound, Panorama Roof, Heated Seats, LED Headlamps and more! Clean Carfax 1-Owner No Accidents! Call today to schedule a test drive today! *** VERY CLEAN CLS 550 4MATIC® *** LOADED WITH OPTIONS AND GREAT HISTORY *** Lunar Blue Metallic with Almond/Mocha Leather Interior, Premium 1 Package, AMG® Wheel Package, Lane Tracking Package, Illuminated Door Sills, ParkTronic, Active Multicontour Driver Seat, Rear Spoiler, and more! Clean Carfax No Accidents! Call today to schedule a test drive! *** VERY CLEAN CLS 550 4MATIC® *** LOADED WITH OPTIONS AND GREAT HISTORY *** Lunar Blue Metallic with Almond/Mocha Leather Interior, Premium 1 Package, AMG® Wheel Package, Lane Tracking Package, Illuminated Door Sills, ParkTronic, Active Multicontour Driver Seat, Rear Spoiler, and more! Clean Carfax No Accidents! Call today to schedule a test drive! 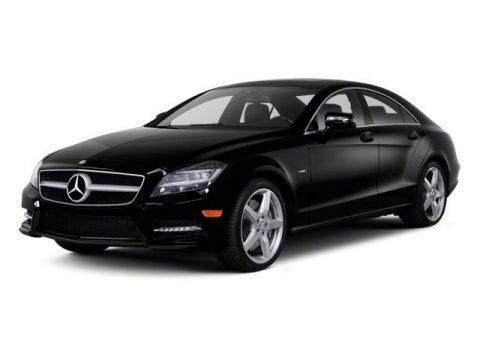 *** OFF LEASE SPORT PACKAGE CLS 400 *** CERTIFIED WITH UNLIMITED MILEAGE WARRANTY *** Black with Black Leather w/ White Contrast Stitching, Premium 1 Package, Lane Tracking Package, Blind Spot Assist, Burmester Sound, AMG® 19-Inch Multispoke Wheels, and more! Clean Carfax No Accidents! Call today to schedule a test drive! 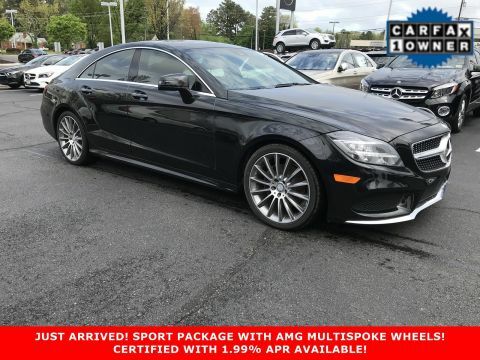 *** OFF LEASE SPORT PACKAGE CLS 400 *** CERTIFIED WITH UNLIMITED MILEAGE WARRANTY *** Black with Black Leather w/ White Contrast Stitching, Premium 1 Package, Lane Tracking Package, Blind Spot Assist, Burmester Sound, AMG® 19-Inch Multispoke Wheels, and more! Clean Carfax No Accidents! Call today to schedule a test drive! 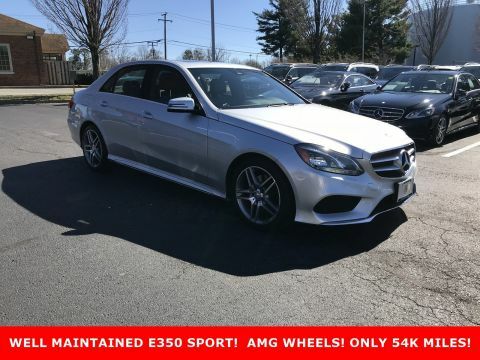 *** OFF LEASE E 350 SPORT 4MATIC® *** Iridium Silver Metallic with Crystal Grey/Black MB-Tex Interior, Premium 1 Package, Sport Package, Keyless-GO Package, Lane Tracking Package, Rear Deck Spoiler, Heated Steering Wheel, Navigation, Black Ash Wood Trim, and more! CERTIFIED WITH UNLIMITED MILEAGE WARRANTY! Call today to schedule a test drive! 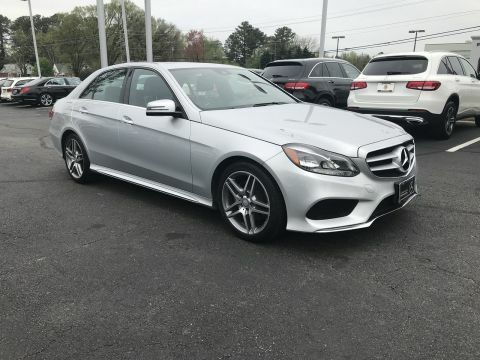 *** OFF LEASE E 350 SPORT 4MATIC® *** Iridium Silver Metallic with Crystal Grey/Black MB-Tex Interior, Premium 1 Package, Sport Package, Keyless-GO Package, Lane Tracking Package, Rear Deck Spoiler, Heated Steering Wheel, Navigation, Black Ash Wood Trim, and more! CERTIFIED WITH UNLIMITED MILEAGE WARRANTY! Call today to schedule a test drive! *** JUST IN TIME FOR SPRING *** Obsidian Black Metallic with Grey/Black Leather, Premium 1 Package, Lighting Package, Lane Tracking Package, Rear Spoiler, Wood Steering Wheel, Black Soft Top, Keyless GO, 18-Inch Wheels, and more! Call today to schedule a test drive! *** JUST IN TIME FOR SPRING *** Obsidian Black Metallic with Grey/Black Leather, Premium 1 Package, Lighting Package, Lane Tracking Package, Rear Spoiler, Wood Steering Wheel, Black Soft Top, Keyless GO, 18-Inch Wheels, and more! Call today to schedule a test drive! *** OFF LEASE SPORT E 350 *** CLEAN CARFAX NO ACCIDENTS 1-OWNER *** CERTIFIED PREOWNED *** Black with Black MB-Tex, Premium 1 Package, Sport Package, Lane Tracking Package, KEYLESS GO® Package, Rear Spoiler, 18 AMG® Wheels, Harman/kardon Logic 7® Sound, Heated Front Seats, and more! Call today to schedule a test drive today! 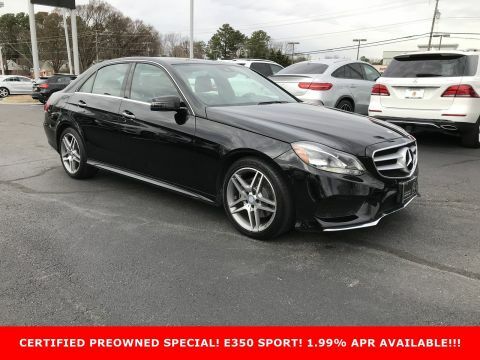 *** OFF LEASE SPORT E 350 *** CLEAN CARFAX NO ACCIDENTS 1-OWNER *** CERTIFIED PREOWNED *** Black with Black MB-Tex, Premium 1 Package, Sport Package, Lane Tracking Package, KEYLESS GO® Package, Rear Spoiler, 18 AMG® Wheels, Harman/kardon Logic 7® Sound, Heated Front Seats, and more! Call today to schedule a test drive today! *** NICE CLEAN E 350 4MATIC® *** CERTIFIED PREOWNED WITH UNLIMITED MILEAGE WARRANTY *** Iridium Silver Metallic with Black MB-Tex, Premium 1 Package, Sport Package, KEYLESS GO® Package, Lane Tracking Package, Rear Deck Spoiler, Heated Seats, Harman/kardon Logic7 Sound, and more! Clean Carfax 1-Owner! Call today to schedule a test drive today! *** NICE CLEAN E 350 4MATIC® *** CERTIFIED PREOWNED WITH UNLIMITED MILEAGE WARRANTY *** Iridium Silver Metallic with Black MB-Tex, Premium 1 Package, Sport Package, KEYLESS GO® Package, Lane Tracking Package, Rear Deck Spoiler, Heated Seats, Harman/kardon Logic7 Sound, and more! Clean Carfax 1-Owner! Call today to schedule a test drive today! 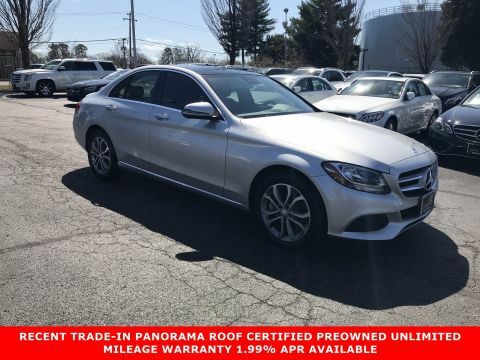 *** NEW BODYSTYLE CERTIFIED E 300 4MATIC® *** Polar White with Macchiato Beige MB-Tex w/ Black Carpeting, Premium 1 Package, Blind Spot Assist, Burmester Sound System, Heated Front Seats, Backup Camera, 18-Inch AMG® Wheels, Comfort Box and more! Call today to schedule a test drive today! 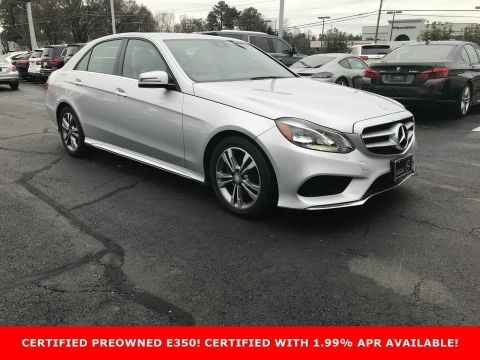 *** NEW BODYSTYLE CERTIFIED E 300 4MATIC® *** Polar White with Macchiato Beige MB-Tex w/ Black Carpeting, Premium 1 Package, Blind Spot Assist, Burmester Sound System, Heated Front Seats, Backup Camera, 18-Inch AMG® Wheels, Comfort Box and more! Call today to schedule a test drive today! 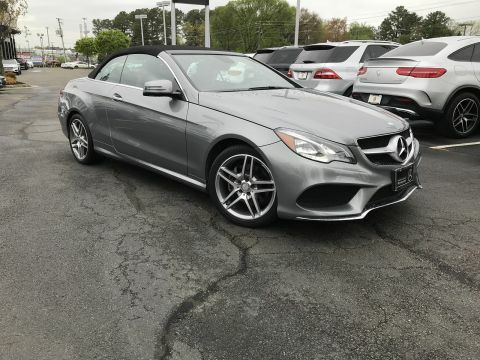 *** WOW RARE COLOR COMBINATION *** Palladium Silver Metallic with Red Leather Interior and Black Carpeting, Premium 1 Package, Sport Package, 18 AMG® Wheels, Truck Decklid Spoiler, Black Ash Wood, Heated Front Seats, and more! Clean Carfax 1-Owner No Accidents! Call today to schedule a test drive! 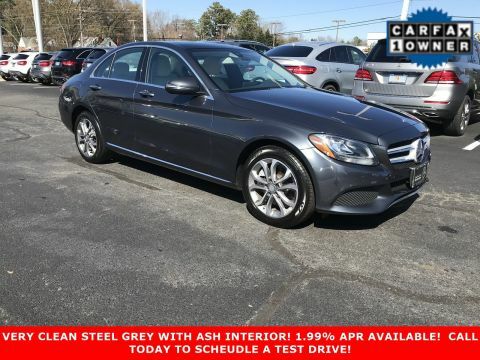 *** WOW RARE COLOR COMBINATION *** Palladium Silver Metallic with Red Leather Interior and Black Carpeting, Premium 1 Package, Sport Package, 18 AMG® Wheels, Truck Decklid Spoiler, Black Ash Wood, Heated Front Seats, and more! Clean Carfax 1-Owner No Accidents! Call today to schedule a test drive!